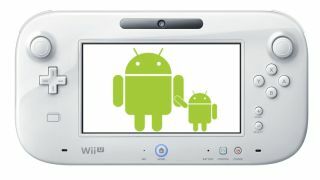 Here's one we didn't see coming: Nintendo is reportedly taking a bold step into a new age and building an Android tablet. Before you get too excited, we're told that said tablet will be used primarily for education purposes and won't be getting any classic games from the NES, SNES or Game Boy – it's going to be "educational games" only. This all came from a number of tweets put out by Nando Monterazo, who claims to be a software engineer at Nintendo of America, which were later taken down. "Experimenting with a tablet of Nintendo, the system is based on android, fully modified and unified as a database of the tablet," read one of the tweets. Nintendo is refusing to comment. According to Monterazo, who says he's currently testing the slab's "communication environment", some of the tablet's games will be packed with familiar Nintendo characters. Nintendo has refused to move into mobile until now despite reported pressure to port its games over to iOS and Android. The Wii U's gamepad screen is a sort of tablet in its own right, despite the fact it's wirelessly tethered to the main console. But if this tablet business is true it's pretty significant - even if it's just education-based right now.